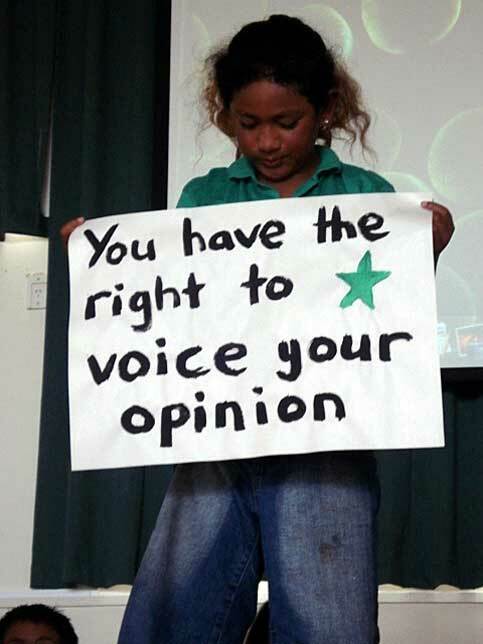 Human Rights in Education is a broad collaborative initiative of educators developing New Zealand schools and early childhood centres as communities where human rights and responsibilities are known, promoted and lived. - Base their work on human rights including the right to education, the Convention on the Rights of the Child, and principles such as mutual respect, empowerment and accountability and good education practice. 4. create coherence across existing programmes, making things more manageable and improving learning outcomes. Human Rights in Education is an approach to education, rather than a programme. · New Zealand's treaty commitments, and expectations of the UN World Programme for Human Rights Education. Key support partners in the Initiative include the Children's Commissioner, Human Rights Commission, Amnesty International, Development Resource Centre and Peace Foundation. Human rights principles are not platitudes; they must be honoured, because thousands have died for them.